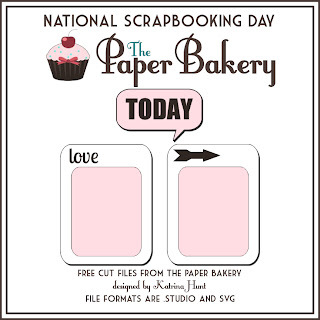 Welcome to the Paper Bakery NSD blog hop! The fun starts at the Paper Bakery blog, so be sure to start there first. Leave a comment on each blog for the chance to win a fabulous prize from The Bakery Bakery. There is also an NSD sketch challenge! Create any kind of project inspired by this sketch by Saturday May 11 and share it on the Paper Bakery blog sidebar for a chance to win a fab prize. Here's my take on the sketch using the May kit, Glitz Roadshow. 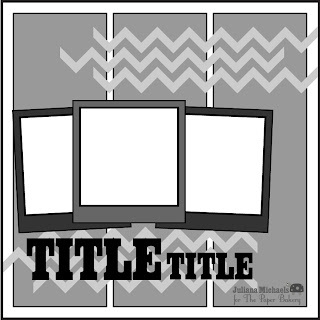 As you can see, I used 1 photo instead of 3 with 2 clusters of embellishments, and 1 horizontal stripe instead of 3 vertical stripes. I also used part of the number cut file from the May kit. That's not all though, there's also a FREE cut file on the Paper Bakery blog! I'm also doing a little giveaway of my own!! All you have to do is leave a comment for a chance to win an awesome prize package I've put together!! Next up on the hop is Ashley's blog and she has some amazing projects to share! What a fun way to start the day. Hopping thru so many talented ladies' blogs! Thanks for sharing! I LOVE the way you've used those doilies...& thanks for the chance to win!!! gorgeous layout!!! love the blue and pink combo!! Totally love the layout!!! Such fun little details and love the clean lines!!! OH I love this!!! 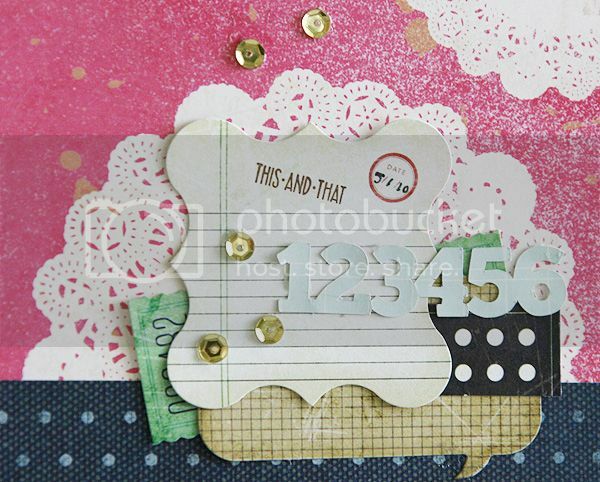 Love how you layered the blue dot paper over the pink doily paper! Layout is awesome! Love that cluster up in the corner! this is so totally fabulous.. love the color combo..great design..
Beautiful, Mary Ann! Love everything about it! I am loving how your used the Maggie Holmes paper. So gorgeous! Great layout! Loving the mustache and the seam binding! Gorgeous Mary Ann, and I love the way you switched up the Sketch just a little bit!! Those Gold sequins are really FAB! I love how much you changed the sketch and I love the embellie clusters! Awwww. How darling is that. Love it tons. Great layout! Love the doilies and the string of numbers and the math-problem title. Fun inspiration! Love your layout. I see lots of product that I like. Great layout Mary Ann! I love your color combo. The bright pink background is so eye-catching. Fun take on the sketch - thanks for sharing! Thanks for sharing your ideas- some great inspiration! Lovely LO and pic! Thanks for the inspiration. I love how you made the sketch your own, very pretty! Love that bright pink paper and the doilies ! Thanks for the chance to win. I really like the sequence! I never would have thought to use them as an embellishment on my pages. Such a cute layout!!! sorry, I am just now getting around to hopping!!! Hugs!